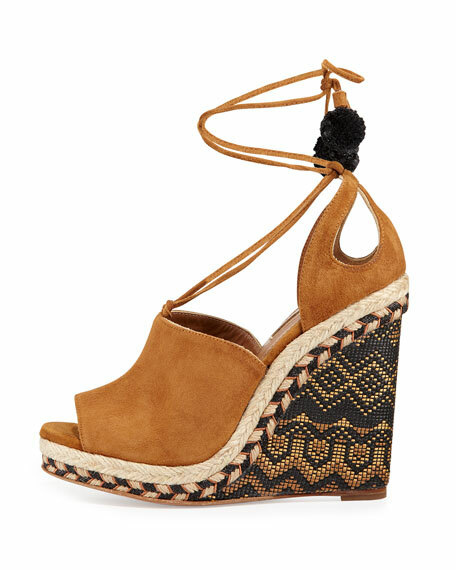 4.5" woven raffia wedge heel. Ties loop through heel counter. 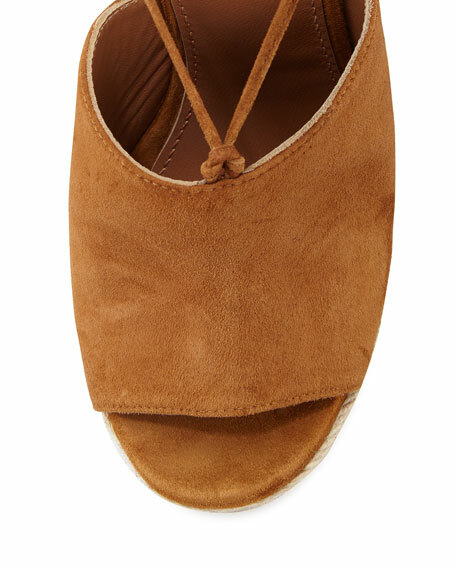 "Palm Springs" is made in Spain of Italian material. For in-store inquiries, use sku #1692041.